Categories: 1 channel, 3,0 kV, 600 VAC/DC, Passive, Slim (6 mm), Isolators, No, Isolators. 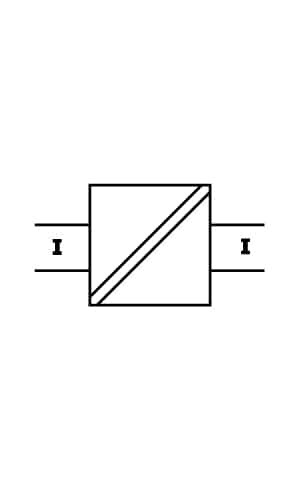 The input loop-powered isolator IsoPAQ-611 provides galvanic separation for 0(4) … 20 mA standard signals, while transferring the measurement signal to the output with a high degree of accuracy. The unit avoids interference voltage carry-over and effectively suppressing parasitic noise. 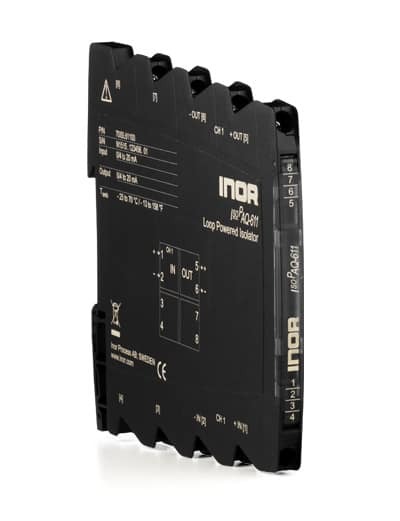 The very low drop voltage of 2.3 V and the high level of accuracy work together to make the IsoPAQ-611 the first choice in system design. The IsoPAQ-611 requires no additional power supply since the auxiliary power is obtained from the input signal without distorting it. This not only saves costs during installation, but also increases reliability.